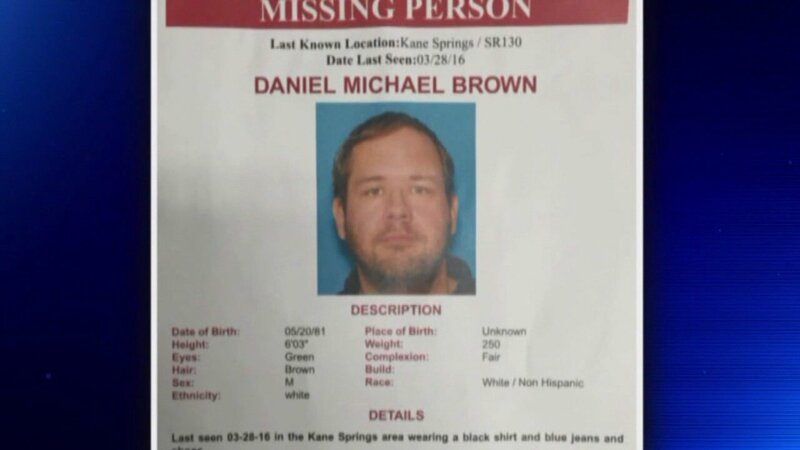 IRON COUNTY, UT -- Iron County Search and Rescue combed the hills northwest of Parowan, Utah, Tuesday after 34-year-old Daniel Brown went missing Monday afternoon, KTVX-TV reports. In a press release, Lt. Del Schlosser, public information officer for the Iron County Sheriff's Department, said deputies were dispatched to a family in their truck that was stuck near the Kane Springs area northwest of Parowan and southeast of Minersville, Utah. Schlosser said the family was found by the help of a GPS signal that was obtained from the 911 call. When the family became stuck, husband and father Brown, went out looking for help and has been missing since 4 p.m. Monday. Now while fighting the cold, icy and wet conditions that are pouring over that area, Schlosser said they have over a dozen rescue personnel and K-9 units out looking for Brown. "We don't know his condition, that's what we're concerned about," Schlosser said. "Any tracks have been covered up." While Brown went to get help, his wife and four kids, ranging from the ages of 7 months to 11 years old, stayed behind in the car. "They lived in Cedar City. The subject just recently lost his job so they've been living in the vehicle. They came out yesterday afternoon and ended up getting stuck while trying to locate a camp site," Schlosser said. The area being searched is about two miles west of State Route 130, from the summit toward Minersville. When deputies found Brown's wife and their children, the car was not running and the family was cold but healthy. Now as the search continues, the family is being looked after in the Cedar City area. "Right now, we're going to remain out here 'til we find him or the weather turns us away," Schlosser said.